A fail-safe actuator returns to a pre-set home position when power is removed from the actuator. In comparison a non fail-safe actuator stays in its last position when power is removed. Fail-safe actuators are often used on crucial valve applications that require protection from excessive temperatures, such as preventing coils from freezing or rooms from overheating. If the fail-safe actuator is set to fail closed then when power is removed the actuator will rotate to the closed position. If an actuator is set to fail open then when power is removed the actuator will rotate to the open position. A standard rule of thumb is heating valves are usually fail-safe “normally open” to prevent the coil from freezing. Coiling valves are normally not fail-safe but if the engineer specifies fail-safe then they are typically “normally closed.” It is important to verify with the contractor or engineer their preference. Within the fail-safe actuator category there are two styles, capacitor return and spring return. Capacitor return uses a capacitor to store energy and uses electrical operation to provide full torque to open and close when power is removed. The capacitor is rated for 60,000 cycles but testing shows they don’t fail until over 80,000 cycles. 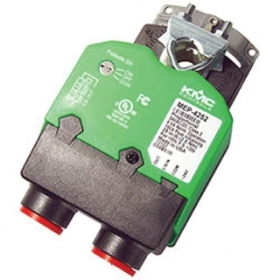 This type of fail-safe is used by KMC Controls and Neptronic. that it fails after about 40,000 cycles. The physical size of a spring return actuator is quite large because of the size spring required to drive the actuator when power fails. This style fail-safe is used by Belimo, JCI, Honeywell, Schneider and others. More recently actuator manufactures like KMC Controls and Neptronic designed more durable, more energy efficient, and more economical solution for electric fail-safe requirements. Instead of springs they use capacitors that are continuously charged whenever power is applied. When electric power fails, the charge in the capacitor is used to drive the actuator back to its home position. Capacitor return actuators provide switch-selectable failsafe direction so that one model can easily be used for both CW and CCW fail-safe applications. This means if the actuator needs to be changed in the field you can flip a switch and you don’t need to remove the actuator and flip it upside down. 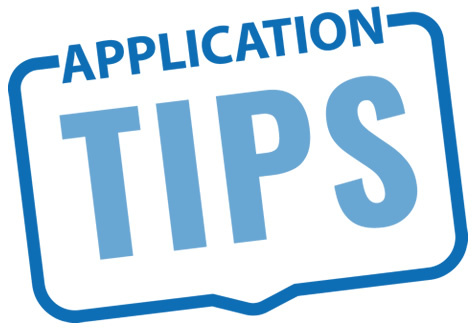 Not only can a capacitor return fail-safe easily change directions, it might also be turned off if desired (such as for testing purposes). Capacitor return actuators usually are smaller and can attach to shorter shafts than bulkier spring return actuators. The actual footprint for a spring return model can be as much as twice as long (also twice as heavy) as a capacitor return actuator. Capacitor return actuators usually have a quick-release button or lever that allows easy manual positioning of the shaft, but spring-returns usually require a wrench to manually “wind” the shaft into position (if manual positioning is available at all). Capacitor return actuators provide higher energy efficiency over spring return actuators. Spring return actuators require extra motor torque to overcome spring resistance on every cycle, and they consume much more power just to maintain a stationary position. Because springs typically break after about 40–60K cycles, capacitor driven actuators may last three or more times longer. The longer equipment life and reduced energy costs mean that the life-cycle costs for typical capacitor driven actuators are considerably lower than the equivalent spring return models.